The Gateway Arch, that soaring stainless-steel rainbow hard by the Mississippi River, stands as a 630-foot monument to an idea that was controversial even in 19th-century America: that this Midwestern city would serve as a starting point to a new life out West, where people could escape the problems of their past. If all goes according to Burger King’s master plan, St. Louis could again serve as a gateway to a new life, this one with less beef in the American diet, which in turn could help reduce the many environmental impacts that raising cattle has on our vulnerable planet. 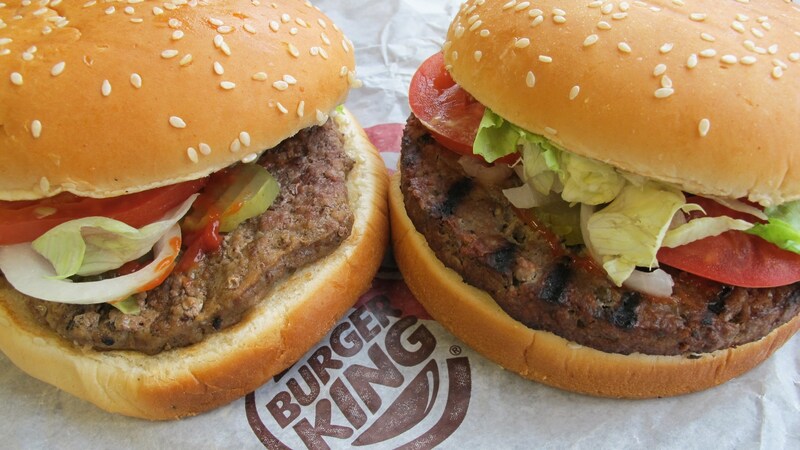 The fast-food chain is testing its Impossible Whopper in the greater metro area here, and if the meatless hamburger proves a success in St. Louis, Burger King will roll out the sandwich to all of its 7,200 locations nationwide. Made with real bioengineered plants that bleed! Review is NOT very good. This pretend burger does not have the texture of MEAT.